Young and Want to Make a DIFFERENCE? Time Out is Looking for Volunteers. Time Out is a project for young people, created by young people to give a space to allow you to develop in whatever way suits you best. 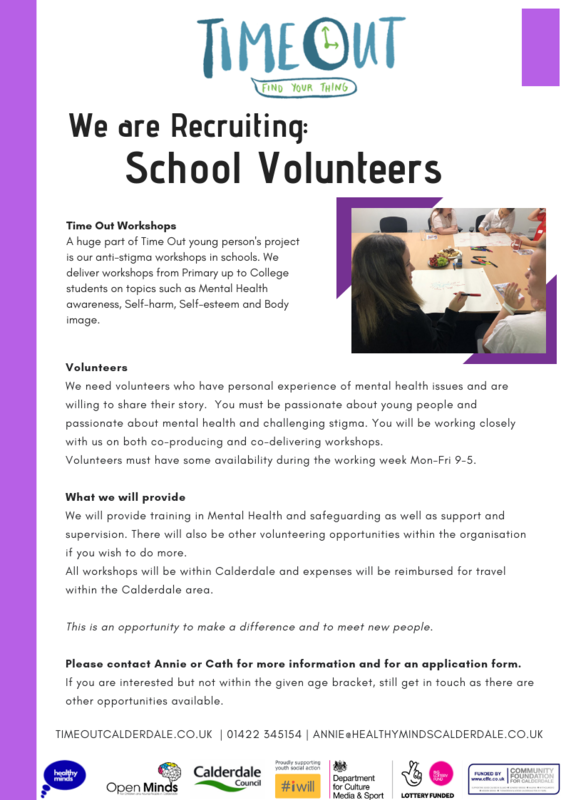 Fortunately, mental health is no longer a taboo subject and Time Out are recruiting volunteers to spread awareness of the help available for those with issues of self-harm, body image or self-esteem. There are creative opportunities in graphic design, web development or or other media such as film and photography. On a more physical level there are opportunities in sports, performing arts, music and gaming. Perhaps even more importantly, is the experience of being part of a team that will help your CV as well as your life-skills. 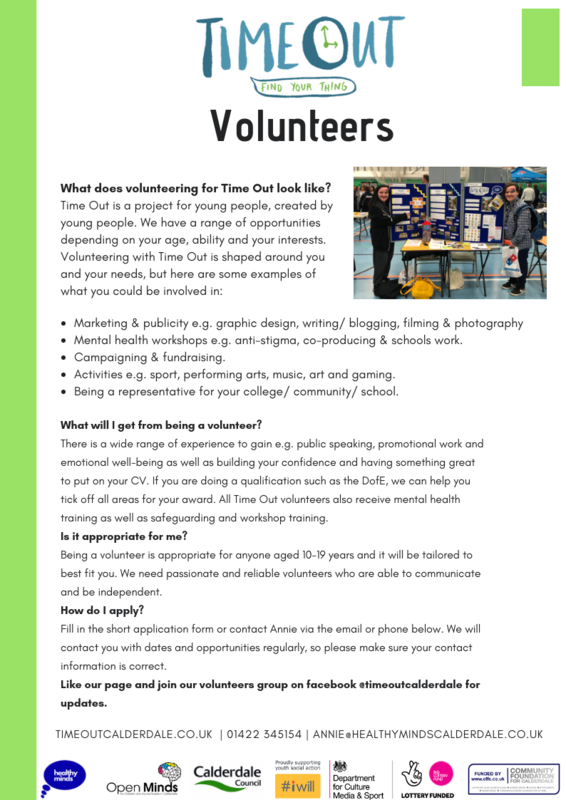 Time Out is currently looking for volunteers who can not only develop their own skills but help others to do the same. If you think that, with help and assistance, you could help others, or even would like to discuss without any commitment, then call Annie on 01422 345154 or email annie@healthymindscalderdale.co.uk.